We are starting a new section entitled Memories, for which we solicit contributions from any or all those who were able to visit Grothendieck during his secret years in Lasserre. 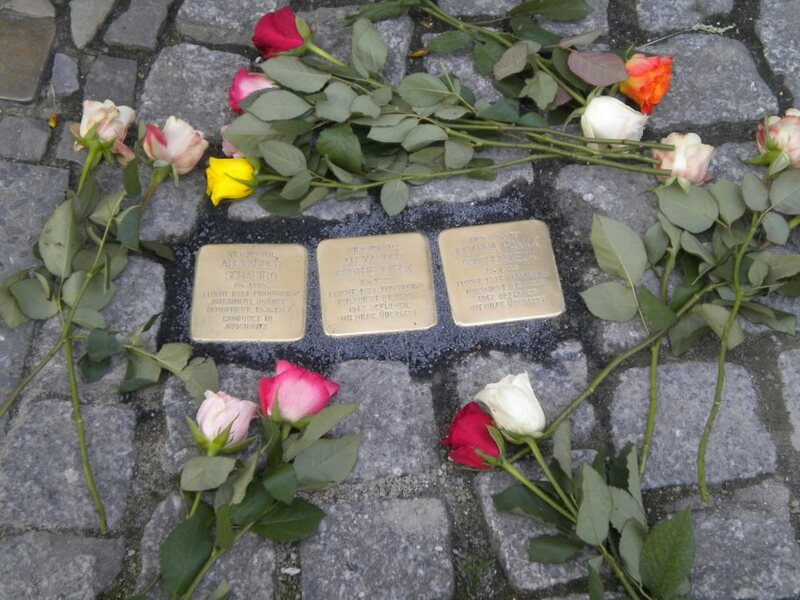 Stolpersteine in honor of Grothendieck's family, by artist Gunter Demnig, placed on March 22, 2017 in front of the home in Berlin where Alexandre Grothendieck resided with his parents and sister from 1928 to 1933 at the address 165 Brunnenstraße, Berlin. The Grothendieck Circle website will be happy to announce any recent or upcoming seminars, conferences or events devoted to Grothendieck. The long-term goal of the Grothendieck Circle is to make publicly available, and in some cases translate, published and unpublished material written by and about Alexandre Grothendieck, as well as original biographical material and documents. We hope this site will continue expanding over time.